Shanghai dispatched 36 teachers to southwest China's Tibet Autonomous Region to support local education on Tuesday. It's the second group of teachers sent to Tibet since June 2016. 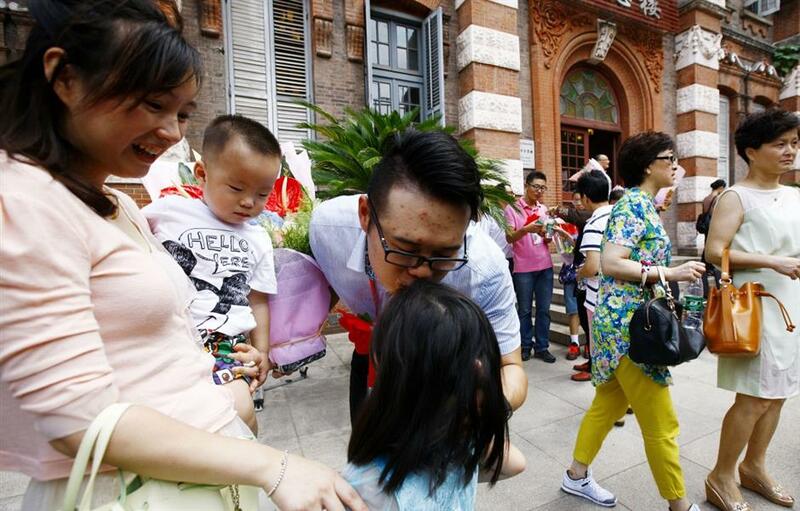 Teacher Zhong Yingjie sent to aid Tibet kisses his daughter before departure in Shanghai, east China, Aug. 1, 2017. Shanghai dispatched 36 teachers to southwest China's Tibet Autonomous Region to support local education on Tuesday. It's the second group of teachers sent to Tibet since June 2016.